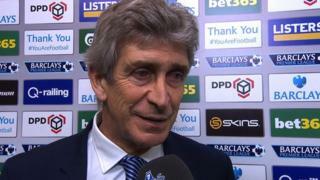 Manuel Pellegrini says Manchester City returned to their "normal performance" in a dominant 4-1 win at Stoke. 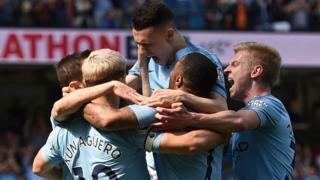 Sergio Aguero scored his first goals since December as Pellegrini's side secured victory, with James Milner and Samir Nasri also getting on the scoresheet. The win was Manchester City's first in the Premier League since New Year's Day.